Made in the same factory that produced top quality rifles for former Yugoslavia like the M70B1 and M70AB2, these newly manufactured PAP rifles are the semi-auto version of the famous military series M70 rifles. These are the latest imports from the world famous Zastava factory. This HI-CAP Classic features a beautiful full teak wood stock and matching forend, with ergonomic pistol grip. It is built like a tank with heavy gage 1mm thick sheet metal receiver and hammer forged barrel. 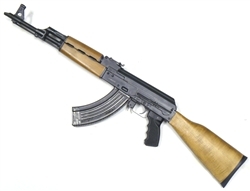 Classic AK styling all over with addition of specialized safety lever and locking top-cover. Also features a built in side rail mount for hold-true accuracy when mounting a scope.The textured pistol grip and thick rubber buttpad provide comfortable shooting for long and enjoyable days at the range. The unique safety lever design acts as a bolt lock / hold open for improved safety and fast reloading. 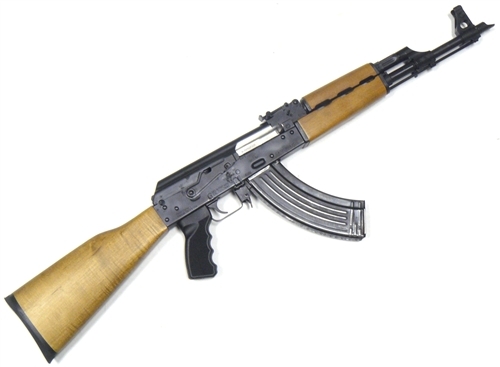 Accepts all standard AK high cap mags and drums. 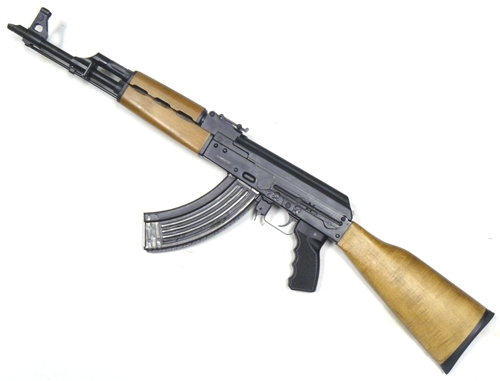 The Yugo AK's are regarded as some of the finest quality AK rifles in the world and these are no exception. Extremely well made with very tight tolerances - These rifles will feed, function and fire flawlessly for thousands and thousands of rounds. Backed as always by CNC Warrior's quality guarantee and renowned customer service, this makes a reliable weapon that will serve you well year after year.